I am excited to see more and more initiatives that tap into the wisdom of corporate or public crowds to shape priorities for specific policy agendas. Just recently, different units in my organization called on staff to submit ideas how to improve their business processes, and let all colleagues vote on them to determine which idea would get most traction and support. This is a great way to improve organizational efficiency while involving those affected by change in an actual change process. At the same time, the success of the Rio Dialogues showed how crowdsourcing policy recommendations and public voting on them can increase legitimacy of inter-governmental negotiations. This new model of public engagement during a United Nations summit received praise from participants as the “the most inclusive process in the history of global summits” (Josette Sheeran, VP of the World Economic Forum), and opened the door for similar approaches in defining the successors of the Milliennium Development in the Post-2015 process (see also Jamie Drummonds TED talk on crowdsourcing the Post-2015 agenda). I find this new momentum towards open government and democratization of political as well as organizational processes extremely encouraging. However, while embarking on this journey towards bottom-up participation and openness, it is important that we understand exactly the conditions under which this can work - and under which it might not. Why is it a good thing to open up agenda setting to crowd-sourced suggestions and voting? Let me highlight a few aspects that are of importance in particular when using approaches that involve crowdsourced suggestions and a system of voting on those suggestions in order to identify priorities. Participation: By giving people a voice, they get engaged in the process, reflect on issues and contribute to them, rather than being on the mere recipient end of a process. Innovation: By providing an open space for any kind of contribution, the crowd often comes up with out-of-the box ideas that an expert group might otherwise have never thought of. Prioritization: By giving people a vote, we are finding out what is most important to them, vs. what might be most important to those who have the task of setting an agenda. Buy-in: By appreciating the vote of the crowd on following up on suggestions that most people identify with, we create buy-in for the process and increase the likelihood of successful implementation. The benefits of point 1 and 2 are relatively easy to achieve. The 1.3 million public votes that were received on the recommendations of the Rio Dialogues clearly showed that the public was willing to provide their opinion, and also the call for ideas among staff receives ample attention. People usually really like to be asked for their opinion. Communicate how suggestions are selected. It is important to communicate very clearly to the users how the final selected suggestions (the winners) will be selected. Otherwise everyone is expecting that the whole process works like an election in which automatically the suggestions with the most votes will be honored, and users will be put off once they find out that this is not the case. The selection process needs to be formulated and presented in a transparent way (e.g. by explaining who is in the selection panel, by what criteria are proposals selected, what are no-go conditions, etc.). Avoid cherry-picking. The more the picked winners deviate from actual results of the vote, the less buy-in we will get on those picked suggestions. It might be tempting for governments or managers of organizations to pick suggestions that match most what they want to do anyway, no matter how many votes the suggestions received. However, it cannot be overstated that picking a suggestion as a winner that nobody identifies with will have no positive change management effect. In fact, it is likely to increase the perception that those in charge of formulating the agenda are just cherry-picking what they like for themselves, which creates a sense of disempowerment we need to avoid in any participative process. Don’t distort suggestions when clustering. 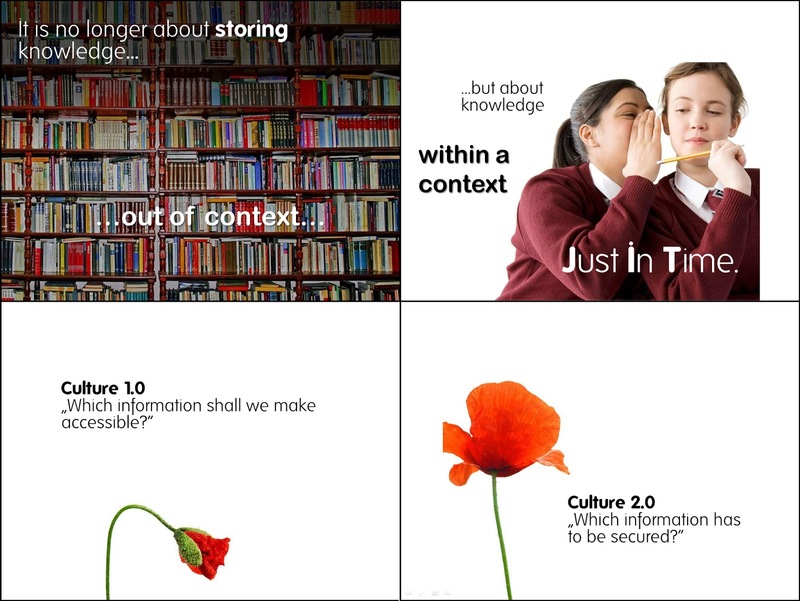 Often we will have to aggregate different suggestions into one in order to capture a cluster of submissions. When doing so we need to be very careful not to distort the original meaning of a suggestion. Otherwise we can face a situation in which e.g. a suggestion that receives a lot of votes is stripped off the very points that made it a popular suggestion in the first place, just so it can fit within a bigger cluster of suggestions. Even when idea is acknowledge, for the person submitting the original popular suggestion, seeing one’s own idea promoted in a distorted manner can be disempowering as well. You have to follow up. No excuses.. No matter how great the participation was, and how well the final prioritized agenda reflects what the crowd wanted, if we don’t actually commit to following up on this agenda, we can destroy all the work we’ve done. If we open up a process that promises to take the views of the people we asked to contribute seriously (no matter if it is staff in an organization or the public in a process like the Rio Dialogues), we have to mean it and follow through. Otherwise the group in charge of the agenda loses all legitimacy, as well as the trust it needs to engage its constituency for implementing any changes in the future. The result will be resignation and reluctance to contribute to any similar exercises next time around: We’ve been asked for our opinion in the past, but nothing was done, so why should I care now? Now, it is understandable that neither governments nor organizations might be able to pick all ideas with the most popular votes as they are because implementing them might have far reaching implications (in terms of cost, feasibility, collateral effects, discrimination of minority groups, etc). There are often good reasons why good ideas cannot be implemented (or at least not right now), but then this needs to be explained to those who were involved in the process. Otherwise people participating in the call for suggestions and the call to vote on them will feel their voice is not heard and feel disenfranchised. Finally, when presenting the winning proposals, it is important to maintain a follow-up discussion on those results and the process in general, where users can raise their concerns and also make further suggestions on how the proposals can be implemented down the road. Presenting a prioritized agenda based on crowdsourced suggestions is only the starting point of a participative change process. Whatever happens after that should happen with full participation of the crowd as well. That we as public administration practitioners “are called upon to serve the public good and the collective interest in the face of increasing complexity, uncertainty and volatility”. And only by shifting our strategies, systems and minds towards a framework that balances public policy with civic engagement as well as government authority with openness and collective power, are we able to face the challenges of public administration in the 21st century. The New Synthesis Project has been established in 2009, bringing together officials, scholars and experts from six countries (Australia, Brazil, Canada, the Netherlands, Singapore and the UK) and more than 24 organizations through five international roundtables, five post-roundtable reports, and 17 case studies. The project has generated significant insights into preparing governments to serve in the 21st century. The underlying idea was “to expand the circle of people committed to modernizing the role of government in a post-industrial era”, based on the realization that public administration as a practice and discipline is not yet aligned with the challenges of serving in the 21st century. For a brief introduction to the project, you can see this video. The book starts with the observation that today’s crisis, challenges and opportunities are too complex to be managed by government (or one goverbment agency) alone. Public administrations which are based on the closed, top-down, one-way concept of mass public service delivery that emerged in the industrial age are poorly equipped to master the uncertainty and unpredictability of scenarios like the financial crisis, natural disasters, terrorism or pandemics. The New Synthesis acknowledges that “on its own, government has neither the power nor the tools needed to successfully address complex issues and achieve complex results”. In order to achieve complex results for society, for example education, taxes, school buildings, salaries for teachers and curricula can only get students that far. What is in fact needed is a complex interaction of policies, teachers, families, infrastructure, community support, many of which require the contribution of actors beyond government. The main realization behind this is that “issues that affect the collective can only be solved by the collective”. The New Synthesis therefore proposes an approach that shifts away from thinking of government as the solution provider with citizens remaining passive recipients, a view which devalues their contributions and limits options for society. Instead, the book suggests seeing government’s role in generating solutions with citizens through means of co-creation and co-production based on openness, innovation and civic empowerment. The author, Jocelyne Bourgon, who served many years in the Canadian administration, condenses the results from the roundtable discussions and case studies of the New Synthesis Project into a framework that tries to encompass the entirety of what public administration in a post-modern environment means. In pursuing this rather ambitious objective, she unfortunately falls prey to her dwelling in this topic on a very abstract level, and a lacking ability to communicate clearly and concisely what the essence of her argument is. This is ironic, given the fact that the vast majority of the book consists of real life case studies that exemplify on every step of the way what the ideas of the New Synthesis mean in practice. But even in doing so, her elaborations remain often vague and unspecific. By the end of Part 1 which lays out her theoretical framework, she eventually manages to get her points across, but only after one makes it through what are 125 pages of a very cumbersome read, full of unnecessarily academic language, professional jargon and fuzzy formulations that don’t lend themselves to conveying her points to an audience that hasn’t worked on this topic daily for the last few years. The book tried to mitigate this problem by providing the reader with illustrations that map the “enabling framework” of the New Synthesis in a graphical and more understandable way. However, the graphic representation of the framework around the axis of government authority and collective power, as well as public policy results and civic results, carving out the four quadrants of performance, emergence, compliance and resilience, achieve exactly the opposite. By the end of the book I was still looking at the illustration wondering how exactly I had to interpret it, and how the different parts would relate to each other. The author could have equally thrown all those rather generic keywords (some of which really don’t mean much without deeper explanation and context) randomly into one bucket and it would have meant as much to me. If the meaning of an illustration is not immediately and intuitively (or at least with just a few explanatory words) understandable and if it creates more questions than it answers, it somehow seems to fail its purpose. And the problem of the book is that it relies heavily on this illustration to explain the entire framework. All this aside, however, the substantive points laid out by the framework are extremely sound, well researched and of utter relevance to the topic at hand. Bourgon puts the finger on all the vulnerable spots where public administration in its usual form (it’s modern form that was shaped by the industrial age) is not equipped to handle the challenges of the 21st century. And she is proposing a way of reform that would enable government to face those challenges. 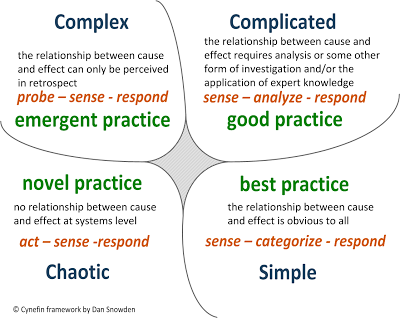 Awareness that the multitude of issues, possible solutions and stakeholders that lead to public results are all interconnected and cannot be looked at separately from each other. Understanding that the purpose of public policies ultimately are to achieve civic results, and that they should be managed and measured accordingly, through better access, stronger voices and expanded choices for citizens. Understanding that government needs to work directly with its citizens to co-create and co-produce public results (e.g. through innovation labs as practiced already by UNDP through its innovation work in Europe & CIS), instead of seeing itself as a one-way solution provider. Understanding that in a dynamic, uncertain and unpredictable environment the best way to achieve results is through iteration and adaptation, and that for this reason "public organizations need to operate as public platforms for innovation, exploration and experimentation". This shows a strong link to the evolutionary development approach championed among others by Owen Barder (http://www.owen.org). Appreciation of the principle of emergence (growing innovative solutions in complex environments) and understanding the need for building anticipative capacity, inventive capacity and adaptive capacity within government through research, learning ,knowledge management, prototyping and crowdsourcing. Ability of public institutions to learn to work within networks rather than strict hierarchies, and across boundaries rather than within closed siloes. This relates closely to the contribution of next-generation knowledge management (KM 2.0) to organizational development as it was introduced to UNDP in the last three years through its Knowledge Strategy 2009-2011. Commitment to open data, open government and open management in general. Or as Bourgon puts it: "Trust breeds trustworthiness. Systems designed based on distrust impose high costs on society and are unlikely to lead to better results". Understanding that civic empowerment, social innovation and participation of citizens in creation and production lead to increased resilience of societies in times of crisis. Understanding compliance within public administration as a matter of shared accountabilities and responsibilities across agencies and external actors, rather than as a mechanism for performance control of isolated entities (e.g. a programme or ministry). This is not a complete summary, but just the main points that stood out for me. It becomes clear that all these items relate very closely the mandates of capacity development, knowledge management and innovation that me and my colleagues are concerned with daily. So yes, my critique of the communication deficiencies of the “New Synthesis” notwithstanding, I recommend this book highly to every practitioner involved in any of those three areas. The New Synthesis Project is on to something here, and we as development practitioners seems well advised to get involved in this global discussion. I am very much looking forward to seeing how this discussion among public administration community will evolve further. In her Harvard Business Review article “Why We Use Social Media in Our Personal Lives — But Not for Work” from February 16, Tammy Erickson claims that the conditions under which we use social media in a personal and an organizational context are entirely different, and therefore should lead to massive challenges in getting adoption for Social Media solutions within enterprises. I must say, while Tammy makes some valid points (e.g. that internal platforms are usually less user-friendly than public tools), I find many of her arguments somehow missing the mark, which leads me to formulate a thorough critique of her article here. First of all, I cannot agree with Tammy’s sharp differentiation between use of social media in our work and our personal lives. This feels as odd as claiming in the early days of the telephone that the phone would be less useful for business than it is for personal use, or saying the same about email in 1990. What’s more, the lines between personal and professional networking have been significantly blurring more and more (e.g. I’m engaging regularly with professional peers outside my organization through Facebook, LinkedIn or blogs). Drawing such a sharp line between the two does not do justice to the realities that a professional workforce faces today where often professional and personal email accounts are managed on the same smart phone, and professional peers we engage with online become part of social exchanges too . Most importantly, however, the key reasons for using social media tools are the same in both personal and professional realms: communicating with my peers, voicing my opinion, sharing what I do, being visible, earning reputation and respect, asking questions, receiving feedback, presenting the “self” that I want others to see of me. Those are part of the general human need for attention, recognition and finding meaning in what we do. And it is this need basic need that made social media so successful. I don’t see how this need would be less prominent in the workplace than it is in social life, other than that individual organizations might not have a culture of treasuring staff communicating with each other, valuing their options or giving them respect and recognition. But that is a problem of the organizational culture itself, while social media is exactly there to change this. As with the telephone and email, full-blown corporate adoption might not be there from the start, but it is inevitable if the tool meets the basic need of communication and recognition. “Personal use: We're usually invited to participate by people we know and trust. I agree that use of social tools is only powerful when it is voluntary. Hence, the use of social tools within an organization cannot be mandated. However, rolling out a social tool within the organization with a mandatory imperative is not the only option. Within our organization, we went for a stealth approach in which we put an internal social networking prototype online and let the news spread virally (a core ingredient of social media adoption in the first place). After half a year we had 2000 of our 8000 staff trying it out and a survey among those users after 7 month showed that 90% of the respondent thought that both the organization and they as individuals would benefit from such a tool. “Personal use: There are specific things we want to do with the other people involved, such as share photos, stay up-to-date on a club's activities, or develop a personal reputation. Not sure where this idea is coming from or what type organization this should represent. But when we are talking about an organization that has to deal with any kind of intellectual assets, then the daily work of a regular employee has everything to do with getting information and input from others than him/herself. Of course I don’t need input from everyone in the network, but that is not the case for my personal networks either. 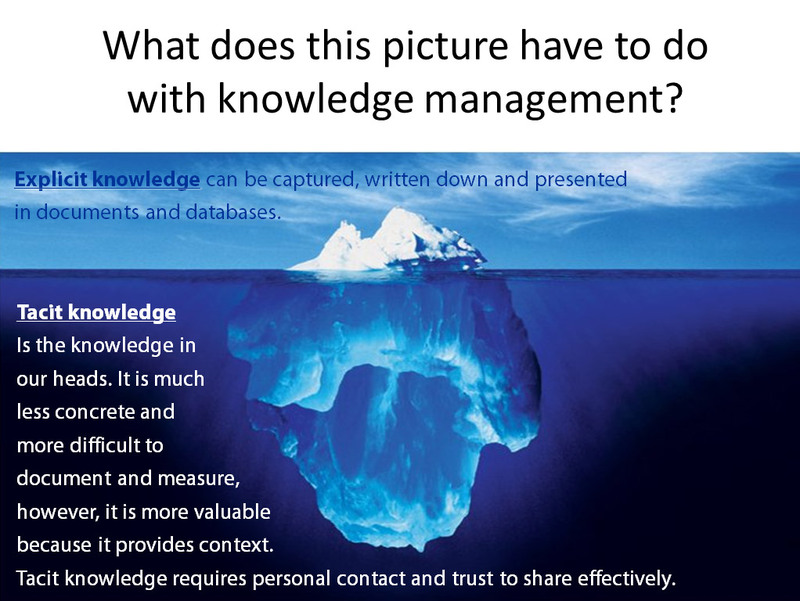 One of the key challenges of a knowledge organization (one that deals with knowledge as its primary resource and output) is helping individuals to get the right information to the right time. Social media is the best mechanism conceivable today (other than mind-reading) to do exactly that. “Personal use: We get something back from participation: advice, practical information we need, a network to tap when times are rough, or the emotional pleasure of seeing others photos or hearing their news. I agree the “pearl dropping” issue is a valid one, but I experience that this can happen as much in Twitter or Facebook as it can happen in an internal network – sometimes I just don’t get any feedback. At the same time, I am part of very strong professional networks (some formal, some very informal) that I rely on heavily in my professional development and learning, a group of people I can vent ideas with and ask for advice. And where I receive emotional satisfaction by the professional recognition and respect that we give each other. Anyone who doesn’t get any emotional satisfaction of engaging with peers at the workplace I would suggest to change jobs as soon as possible and find a nicer environment. “Personal use: We have control over who sees our information. I guess this depends on the tool you use. In a public Twitter profile (which for me is the most reasonable way to use Twitter), I have no control whatsoever over who reads my tweets, and I formulate accordingly. Within the organization – as in Facebook, LinkedIn, etc – I know exactly the number of people who can see what I write, and who they are. Knowing the scope of a limited audience helps me in formulating for that audience accordingly. And at the end of the day, the golden rule of social media “only say what you are comfortable to be read by you mother, your boss or you ex-partner” should be kept in mind both in confined and public social media spheres. I never used most of the social media in my personal life with a clear strategy in mind. Social media for me is all about experimenting, trying things out and seeing what works. I didn’t join Facebook or Twitter with a purpose in mind, and I never got one prescribed from top down – I discovered my best uses of these tools myself over time. While we know that the “build it and they will come” idea usually doesn’t work, I’m also highly skeptical of demands for clear business cases and top down strategies to incorporate social media into formal business process in the organization. The power of social media is that the best uses emerge over time by themselves, and most often they are very different than what we thought people “should” use it for. Hence, having strong ideas of how staff should use social media tools within the organization is counter-intuitive to the very idea of social media, and can suffocate its adoption from the start! Absolutely agree. This for me is the strongest point of Tammy’s article. I agree that the introduction of social media usually collides with existing organizational cultures and processes, and can cause confusion for staff in the beginning. But again, rather than prescribing ideas of how staff should use it in their processes, let them find this out themselves. Work has to be done one way or the other, at the end staff should be accountable for results. Where social media does help to improve a process or achieve a result, it will be used. Where it doesn’t, it will not, and that is perfectly fine. I don’t believe we can effectively design new structures and practices for the most effective use of social media from top down. We need to observe the best uses of the new tools by the users, and then adapt those uses accordingly by scaling them up. Absolutely agree. The use of social media cannot be prescribed. Organizations where senior management doesn’t understand this fundamental characteristic, are not ready yet to adopt it successfully. In sum, I think the conditions of the use of social media in professional and personal environments are much more similar than Tammy’s article would make it seem. If we want to achieve adoption we have to focus on the basic needs that bring people together in any kind of communication technology. It is the extent to which new tools addresses those basic needs adequately (and often in a new way) that decides over success or failure of their adoption.